Oculus founder Palmer Luckey wants you to know he's not voting for Donald Trump. A report in the Daily Beast on Thursday said Luckey had donated to a group called Nimble America, which supports Trump by creating and distributing memes that attack Hillary Clinton. But beyond financial backing, the story said the 24-year-old millionaire shared many sentiments of the group, which has been linked to "Trump-themed white supremacist and anti-Semitic memes." In a Facebook post Friday night, Luckey acknowledged that he had donated $10,000 to the group because he "thought the organization had fresh ideas on how to communicate with young voters through the use of several billboards." But Luckey distanced himself from other claims in the Daily Beast article, saying he is a Libertarian who plans to vote for Gary Johnson in November. In the last 24 hours, there has been an outcry in the tech community about Luckey's support for Nimble America. Virtual reality developers like Tomorrow Today Labs and Scruta Games threatened to stop making applications for Oculus unless Luckey was fired. It was this reaction that Luckey seemed the most regretful about. 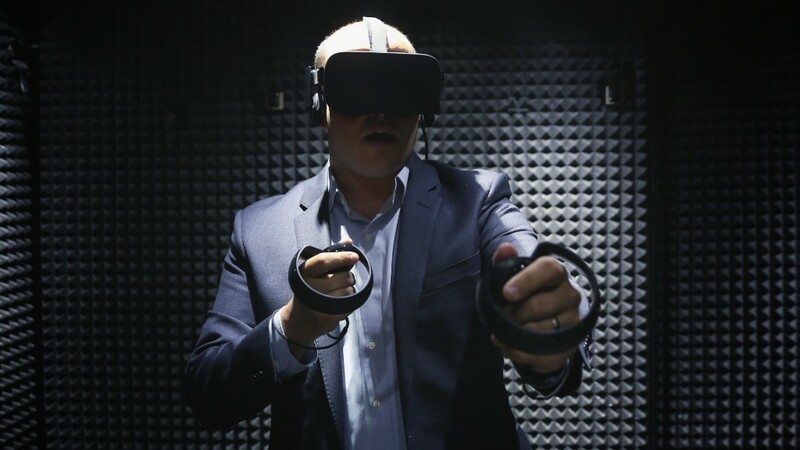 "I am deeply sorry that my actions are negatively impacting the perception of Oculus and its partners," he wrote. "My actions were my own and do not represent Oculus." The 24-year-old Luckey is worth about $700 million, according to Forbes. He sold the company to Facebook (FB) for $2 billion in 2014. The virtual reality tech that broke crowdfunding records is largely credited with shepherding in the rising popularity of virtual reality. Facebook and Oculus did not comment except to point to Luckey's post.